Kramer and I need some serious sleep after this weekend, but it’s always good to be busy and we definitely had a lot of fun. On Friday night, I got together with some friends for a little pot luck; I made spicy Thai noodles and a Thai chicken salad, both of which I hope to share with you, soon, and I was in heaven eating the enchiladas and pasta that my friends made. After a few beers, we headed out to The Richardson to meet up with Kramer and a few others. We had some really nice white whisky from Kings County Distillery while we were there – I always find a new favorite whisky or bourbon when we go there. We stayed up far too late, of course, but still woke up early on Saturday to do a little cooking for our friend Morgan and his family, who came over for some cocktails and charcuterie, after which we went for a beer at our new neighborhood bar, The Tradesman. On Sunday, Kramer went to 3rd Ward while I ran some errands. We had leftover meatball sliders for dinner and watched a couple of movies, to round out the weekend and to just relax. I made this pita bread for a party we had a while ago, but I really need to make more because it was unbelievably simple. These require next to no hand kneading – just use your mixer to create the dough, let it rise, then roll out into small balls and bake for 3-4 minutes. I was really surprised as how easy the dough was to handle and how quickly I was able to make the pitas. We made some absolutely fantastic pita pocket sandwiches with these – they truly blow the store bought variety out of the water. The freshness is really noticeable, and they are much lighter and fluffier than anything I’ve had out of a package. Don’t let working with dough scare you out of making these because it couldn’t be easier or more delicious. Combine your yeast, sugar, water, and salt. Gradually add in your flour and knead until the dough is smooth and elastic. Lightly oil a bowl and add in your dough, turning it around so that it is coated in the oil. Cover and allow to rise for about 1 1/2 hours. Roll your dough into equal sized balls (I doubled this recipe, obviously). Roll out your balls out to 8-inches in diameter on a lightly floured surface. Bake at 500 degrees F for 3-4 minutes, until puffed up and golden. In the bowl of your mixer, whisk together the yeast, sugar, water, and salt. Attach your dough hook, start it on low speed, and gradually add in your flour, a bit at a time, kneading until all of the flour has been added. Keep kneading until the dough forms a ball, or about 4-5 minutes. At this point, let the machine keep running and kneading the dough until it is smooth and elastic, about 6-8 minutes. Lightly oil a large bowl and add in the ball of dough, turning it over to coat it in the oil. Cover the bowl with plastic wrap and allow it to rise until it has doubled in size, about 1½ hours. When you are ready to bake your pitas, preheat your oven and baking stone (preferably) or sheet to 500 degrees F. I found it easiest to keep your oven rack lower so that I could more easily reach the stone. Punch down the dough and divide it into 8 equal sized balls. Cover the 8 balls of dough and allow to rest for 15 minutes. Lightly flour your work surface with bread flour and roll each ball into a circle about 8-inches in diameter and ¼-inch thick. Be sure that you don't have any folds or pockets in your rolled out pitas, or they will not puff up correctly. Your circles also do not have to be perfect - mine weren't! Place the pitas on your stone or baking tray, 1 or 2 at a time, depending on how many will fit. Let them bake for 3-4 minutes a piece, then remove as soon as they are lightly golden and puffed up (watch them because this happens quickly). Allow to cool (they will deflate a bit) and store in an air-tight container or sealable bag at room temperature for up to a week. These make for great sandwiches or for dipping in hummus. I’ve never made my own pitas! Great idea! This was my first time trying it out but I’d definitely do it again! These have been on my to make list for ages. Hopefully this is just the kick in the pants I’ve needed! They were on my list for forever, too. I’ve made pitas before but they didn’t brown as nicely as yours. I have to try again with your recipe – the higher oven temp. will probably make the difference. Thanks! I’ve grilled mine before outside rather than putting them in the oven, and they turn out great! It’s fun to watch them just puff up! I might actually be able to pull this off, thank you for the step by step. We eat a lot of pita bread in our house. I have never heard of white whisky, I need to do some research! It was way easier than I had anticipated! And if you’re a whisky fan, definitely seek some out. That does it! 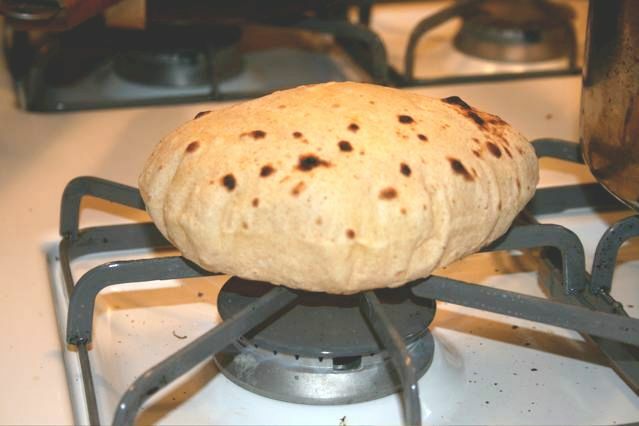 It’s time for me to learn how to make my own flat bread. I’m usually intimidated by yeasted breads but your pitas look totally doable. I am, too, but this recipe was easy! Half-stale pita bread is the bane of my existence. This recipe looks great – so simple. Will have to try it soon! For real – I bet you could even flash freeze the dough for tasty pitas any time. Same here, but now we no longer have to tolerate half stale pita bread. I’m a newbie at-home chef and this was a snap. And so delicious! Nothing like fresh, fluffy pitas out of the oven to shove hummus into your mouth with. I’m saying goodbye to store-bought pitas forever. Great recipe. What could you use instead of a baking stone? You can definitely use a baking sheet instead. does it matter what kind of yeast you use? do you need to let it sit and foam before mixing? thanks! As the recipe states, I used instant yeast, and nope, just mix it all together! Making these this week, found your site through pinterest. Have you tried making pita chips from these? I love them, but way too expensive store bought. Thanks for the great tute and recipe. Thanks, Adela! I have, actually – recipe here: http://crepesofwrath.net/2012/03/26/pita-chips/. I am really looking forward to making these, maybe with some greek styled meatballs to fill them with, but I don’t have a dough hook as my mixer was a hand me down. What would I do for that step instead? Thanks!